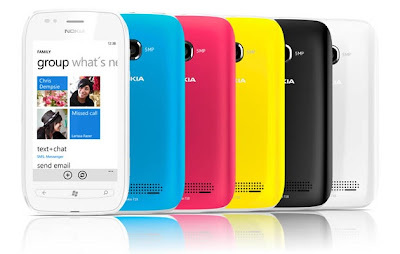 After the successful launch of Nokia Lumia 710 Smartphone now Nokia has comes up with its latest offers for the Owners of Nokia Lumia 710 in United States. The $49.99 Windows Phone based Smartphone Nokia Lumia 710 has gotten a lot of positive reviews from its owners. Now Nokia is offering Free Colorful Back Covers of Nokia Lumia 710, what if you wanted to get an original back cover for that new Nokia Lumia 710? It’s really difficult to find original and unique Nokia Lumia 710 covers from any place, Thanks to Nokia who is providing opportunity to get free covers of nokia lumia 710. Nokia has launched a new promotion campaign that will give any current US owner of the Nokia Lumia 710 Smartphone a Free Back Cover. US owners of Nokia Lumia 710 can pick from a variety of colors for the cover which is being made by Xpress-on and is normally worth $16.99. Nokia Lumia 710 users just have to do is have your Lumia 710 proof of purchase available and then go to the Nokia Promotional Website to type those numbers in along with some personal information. You then print out the provided submission form and include it, along with the original sales receipt, in an envelope to be mailed to the promotion's address by April 13. This deal is only open to US residents, at least at the moment, who purchase their Nokia Lumia 710 Smartphone between the phone's US launch date of January 11 and March 31.